MANILA -- Senator Leila de Lima on Friday declined to enter a plea on charges of conspiracy to commit illegal drug trading when she was still secretary of the Department of Justice (DOJ). This prompted Muntinlupa Regional Trial Court (RTC) Branch 205 Judge Amelia Fabros-Corpuz, who is handling de Lima's case, to order that a "not guilty" plea be entered into the records on her behalf. Meanwhile, de Lima's lawyers plan to make former president Benigno Aquino III take the witness stand for her defense. Speaking to newsmen at the end of de Lima's scheduled arraignment Friday, defense counsel Filibon "Boni" Tacardon said the former president will be able to shed light on the charges. 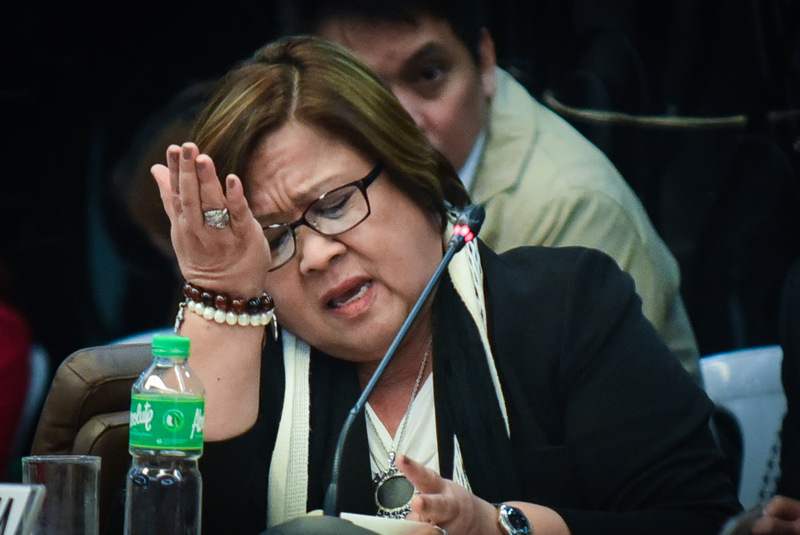 De Lima served as Aquino's DOJ chief from June 30, 2010 to October 12, 2015. "We included former president Noynoy Aquino as one of the witnesses (for) Senator de Lima, (because) being the President, he has all the information relative to the topic and the worth of our case. Meaning, we want to present him to prove that at all times (in this case), there was no issue or even a rumor that would involve Senator de Lima in drug trading. Because if he knows, (if there is really something like this), he would have taken action against the Secretary. So we intend to present him as a character witness," Tacardon said.